The tagline says: Have You Tried That Crazy Wrap Thing? It seems that many people have been quite happy to try that crazy wrap thing, because It Works! has grown into a very successful MLM company. In today’s post, I am going to give you my review of It Works! I will tell you all I can about the company and its leadership team. I will share what I can about the company’s compensation plan. Last but not least, I will share the top 20 It Works! products. 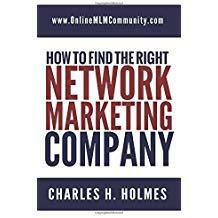 Please know that neither I nor Online MLM Community is affiliated in any way with It Works! This information is given to help you decide if you would like to use the products or become an It Works! independent representative. The History Of It Works! Mark Pentecost was a struggling teacher in Michigan. While he loved teaching High School and coaching basketball, Mark also realized that paying the monthly bills was difficult. Mark’s wife Cindy was a homemaker taking care of 3 children. With debts attacking from all sides, Mark discussed an idea he had with Cindy in which he predicted he could make an extra $500 per month. He would start a home based business in telecommunications. Cindy agreed and before they knew it, Mark was bringing in much more than $500 per month because he was a top representative with Excel Communications. As Mark developed his understanding of multilevel marketing, he began to dream of one day owning a MLM company himself. He told Cindy and the dream was planted in her heart, too. Mark came across a product one day and took it home for Cindy to try. When she put the body wrap on, Cindy called her girlfriend to tell her about it, and she proceeded to tell Cindy she wanted to try it. The wheels were set in motion and in 2001, It Works! was founded in Michigan. Just a few years ago, It Works! moved their headquarters to Bradenton, Florida. To become a representative, or what is known as a Wrapreneur, you will have to pay a fee of $99 for a starter kit. To qualify for commissions, you must have $80 of product auto-shipped each month for resale or personal use. The It Works! compensation plan is one of the better plans in the industry. If you cannot make money with their pay plan, you are not working the program. If you can acquire four loyal customers in the first month, you get $120 worth of free products that you can sell for a profit. Every two customers who order through you earns you a box of wraps for $25, and you can sell them for $25 each making you $75 profit. It Works! has many bonus structures for Wrapreneurs. Depending on your pin level, the commissions are quite lucrative. One of the marketing methods taught at It Works! is the process of Blitzing. Many people are apprehensive to just step up and talk to strangers about That Crazy Wrap Thing, but when you use the blitzing process, it becomes fun and not scary. Simply put, blitzing is handing strangers your business card that doubles as a coupon. But Blitzing cards are not the same size as a business card. Most people just stash business cards in their billfold or purse and never look at them again until they are throwing them in a trash can. Blitz cards are closer in size to postcards and offer a coupon, before and after pictures and they are colorful and printed on both sides. It will be difficult for people to not read the card and when they see they can get a discount, you are attacking their emotional buying signals. Even if they are not interested, they are apt to show the card to friends and family members. The fact is: Blitzing works, and I am quite surprised more MLM companies have not copied this It Works! marketing method. I do suggest that even if you are affiliated with a different MLM company, you learn the It Works! blitzing method. You could probably develop your own Blitz cards and use the system. What Others Are Saying About It Works! When I read the many reviews, I find a mix of both positive and negative. The Better Business Bureau has given It Works! a B+ rating because of some negative reviews. It is my personal opinion that many of these negative reviews come from former reps, or distributors in other companies. I suggest that if you do become an independent representative with It Works!, that you find a successful Wrapreneur to be a mentor for you. From Alberta, Canada: Tried the product for just about 2 months. Didn’t really see any change. The wraps seem to just get rid of water weight so it’s not permanent. Also one thing is the pills you take taste absolutely disgusting. I know this will obviously vary in each person, but the smell alone would make me gag and when I was taking them I had to down a gallon of water just to get rid of the taste. Also one more concerning thing is that I still can’t find their clinical research which probably means there isn’t any. From Crestview, Florida: I am just blown away! The products helped me lose 70 pounds this year! I feel so much better! Amazing, Fantastic, and Excellent doesn’t describe. I have started using almost all of their products. Their skin care! Out of this world. Those wraps AMAZING! Seriously top of the line company! It Works! started with the basic wraps to contour and shape figures, but since that time, the It Works! executives have added a huge line of products. Distributors have smiles as they have a complete line of products that they can offer that can help people lose weight, stay healthy and enjoy all aspects of life. I am putting what I believe to be the top 20, but your opinion may differ, and also there are many other products, so be sure and check them all out. If you agree or disagree with my findings, feel free to tell us about it in the comments area at the end of this post. Here is what I discovered to be the top 20 products from It Works! starting with #20. Formulated to erase fine lines and wrinkles, WOW is a blend of proteins and chamomile extract that users say they notice this product starts working within 1 minute of applying. WOW comes with 30 single packets. The Facial comes with 4 mask applications to firm and tone your face. It hydrates while erasing age lines and wrinkles. Just leave the mask on for 45 minutes to notice an extreme difference. This is an all-natural method to make menopause easier to deal with. The 30 day supply comes with a supplement and a balancing cream. You get 60 tablets of an extreme weight loss formulation that uses thermogenics. The primary ingredient is acai berries. Clear that has eucalyptus, peppermint, myrtle and more. Boom that has spearmint and citrus. Defend that has rosemary, lemon, cinnamon and clove. Chill that has lavender, sage and grapefruit. This blend helps you to fight off the effects when you slip in your diet. Just take one after eating and the blend absorbs fat and carbs to keep your body from absorbing it. It comes with 60 tablets. When you order New You, you will get 90 tablets that naturally supports hormone growth and helps to boost lean muscle. Many claim it helps to have a better sleep and memory too. Made with a proprietary blend of vitamins, minerals and other natural substances, this product helps you build stronger nails, improves skin texture and helps to balance your hair. You get 60 tablets. It Works! studied the best mineral concoction for human health and this is what they came up with. You get 60 tablets that will help strengthen your bones and keep your heart healthy. There are many energy drinks on the market, but the majority of them are full of sugars. This It Works! energy drink has half the sugar and is full of Vitamin B to give you a healthy alternative for your energy needs. Stress is a leading cause to other health issues. You get 60 tablets of a special blend of stress fighting substances. Many claim that Confianza has helped them gain better composure. This body cream helps to erase the stretch marks that you hate. With this non-greasy formula, you will feel a hydration and you can watch the marks and lines disappear. Many people do not eat fish like they should. This It Works product supplies you with the Omega 3s you need for a healthy body and mind. You get 30 softgel caplets that provide you with the Omega 3s your body requires. This shake mix only has 100 calories and gives you protein and super foods that help you build lean muscle mass and promotes healthy digestion. It also comes in vanilla, but the chocolate is the big seller. It only takes 2 days of use, and you will clean your body of the toxins and junk that holds you back. The Cleanse is a huge selling item and favored by many. As we age, we find our joints don’t work as good as they once did. You get 60 tablets that help your joints have greater flexibility and will relieve the discomfort and pain. The formula is naturally based. This gel uses a softening and hydration that also tones and firms problem areas on your body. Many customers use it in conjunction with that wrap thing. Yes, this is that crazy wrap thing. It is the original product that It Works started with and is a huge favorite. Wrap parties are held all the time, and you can notice extreme differences after using the wrap. This product comes with 4 applications to help you zone in on those body problem areas. This item came close to being #1, but I find the sales figures to be slightly lacking in comparison to the #1 product. This by far is the best It Works product. 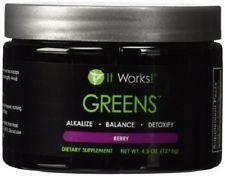 Filling your body with all the nutrients you need from your greens, this product comes with 30 single serve packets. Just mix with water and get your nutritional needs. The orange flavor is delightful. It Works! products are not intended to prevent, cure or treat any diseases. None of these statements have been evaluated by the FDA. Many people have discovered that their dreams and desires can come true by being Wrapreneurs. It Works! has helped normal, everyday people grow into huge financial success stories, and It Works! has also helped people who were disgusted looking in the mirror to have a huge change and are now not only happy to look in the mirror, they are proud wearing a bikini, shorts and other clothing they would have never wore before. Another great thing about It Works! is the fact that they give back. In 2014, the It Works! Gives Back Foundation was formed to help support causes they believe in. Every year, It Works! has a Gives Back week where teams are encouraged to support local charities. Throughout the year, the Gives Back Foundation’s Board of Directors decide which causes to help. The Payton Wright Foundation that helps support families who are in a battle against pediatric brain cancer. Samaritan’s Purse helps people around the world suffering from natural disasters or humanitarian crisis. The V Foundation supports cancer research. Selah Freedom that is in a war against human trafficking. Children’s Cup is on a mission to inspire children everywhere. So not only is It Works! in the MLM business to make profits, they are here to help the world too. Personally, I believe It Works! will continue to climb in popularity. While there are naysayers, many people have shown a huge improvement in their lives by using the company’s products. On a side note, we would love to hear from you. What are your favorite It Works! products? You can leave any comments or questions you have in the comments section below. If you would like to purchase It Works! products or become a Wrapreneur, I suggest you visit the It Works! website here. You can also check out the various references I used below. Thank you. Disclaimer: We are in no way affiliated with It Works! It Works! is a registered trademark and the information is for your education. The products are not designed to treat, cure or prevent any disease. Individual results will vary.